Relocating your Insurance records to offsite storage lets you better utilize your space while also relieving some pressure from your staff. 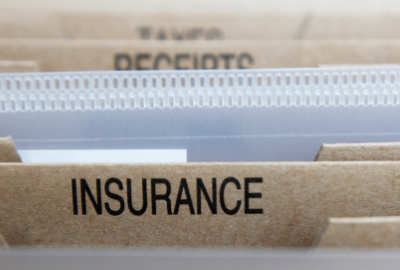 FileVault is available for all of your short- and long-term Insurance record storage needs. FileVault offers physical record storage, where your important documents are kept in a safe and secure location. With our Premium Archiving, our services are custom-tailored to suit your needs. FileVault also offers secure storage for your digital records. Data Protection allows you to securely store all of your electronic files, whether it be hard drives, flash memory, or tapes. Our climate-controlled facilities will ensure that your information remains safe from the elements. FileVault offers paperless conversion services as well as electronic records solutions, giving you the power to re-purpose that old file storage room and make the most of your space. When the time comes, FileVault can also securely dispose of your unneeded records. Our data shredding services allows you to rest easy knowing that your confidential and sensitive information is being disposed of properly. We know that you are concerned about your corporate information security, accessibility, workflow, and compliance. You may also have space concerns. Our archiving program is set up to relive these concerns efficiently and effectively, irrespective of the quantity of files or the type of media, whether paper, fiche, magnetic – or tissue samples. "And btw, just wanted to say that the two guys I\'ve dealt with who deliver files are really great, always prompt, helpful, and polite!" "Thank you for the prompt, courteous service today. Instructions were excellent." "Thank you very much for your expedient assistance! I am extremely impressed and pleased with FileVault\'s turnaround on this request, and I\'m very appreciative!" "I just opened the file~ Nice. Thanks for putting that together for us! " "I appreciate working with you guys. I always get an answer and action right away. I like that!! " "The guys were here bright and early and got the job done. I just wanted to say how much I appreciate working with all of you guys. You are all so nice, so professional! Have a great day." Over the years and through dozens of discussions about off-site records storage, our management team consistently heard a common set of frustrations from the administrators, records managers and controllers we met with. We came to one important conclusion. These problems were not only valid, they were completely avoidable. We are very different from other alternatives you might consider to address your firm's records management concerns. FileVault, Data Backup & Storage. All Rights Reserved.